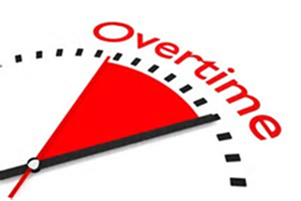 As a quick refresher, the FLSA requires non-exempt employees to receive no less than the federal minimum wage for all hours worked and one and one half times their regular hourly rate for all hours worked above forty in a week. The FLSA contains a number of exemptions to these rules, including an exemption for “any employee employed in a bona fide executive, administrative, or professional capacity.” For an employee to qualify for one of these white collar exemptions under current FLSA regulations, the employee must meet three criteria: (1) the employee must be paid on a salary basis; (2) the employee must be paid at least the minimum salary level established by the regulations, currently $455 per week ($23,660 annually); and (3) the employee must perform executive, administrative, or professional capacity duties. After the Obama administration published its FLSA rule to raise the minimum weekly salary for white collar exempt employees to $913 per week ($47,476 annually), more than 55 business groups and 20 states sued the US Department of Labor challenging the rule. In last week’s decision striking down the Obama administration’s rule, Judge Amos Mazzant ruled that the Department of Labor exceeded its authority in issuing the new rule. Judge Mazzant explained that the FLSA requires an exemption to be based both on salary and the duties being performed by an employee. The Judge reasoned that the Obama administration’s rule would raise the white collar weekly salary so high that it would render an analysis of workers’ duties irrelevant. Judge Mazzant concluded that this is not what Congress intended. The Obama administration’s rule also would have provided for automatic upward adjustments to the weekly salary threshold every three years. Judge Mazzant declared that portion of the rule invalid as well. Because Judge Mazzant had previously blocked the implementation of the Obama administration’s rule, employers do not need to make any changes based on the August 31st ruling. The existing regulations, last updated in 2004 and setting the minimum salary level at $455 per week, are still in effect for now. While the Department of Labor could theoretically appeal Judge Mazzant’s order, it is likely that the Department will not do so under the Trump administration. Indeed, the Department of Labor has sent a Request for Information related to the overtime rule to the Office of Management and Budget for review, suggesting the Department is likely to issue a revised proposed rule at some point. The Department’s process would include an opportunity for the public to submit comments about any new proposed rule, including proposed changes to the salary threshold. Employers should expect the minimum white collar salary level to increase in the future, but likely to a lesser degree than in the struck-down rule.